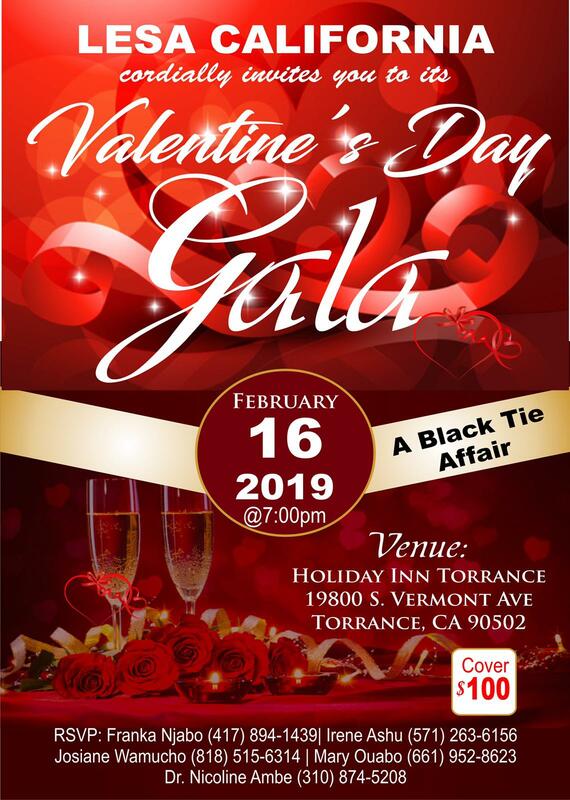 JOIN US for a Red Carpet Worthy Valentine’s Day Gala … only the ladies of California can throw. LOVE IS IN THE AIR … bring that special someone in your life and let’s make UNFORGETTABLE EVENING. The ladies of LESA CA are ready to host you all to one love filled and elegant event. IT’S A BLACK TIE AFFAIR! Date & Time: Saturday, February 16, 2019 from 7 p.m.